According to the Food & Agriculture Organization, China is the world’s second largest grape producer after Italy, and ahead of the USA. 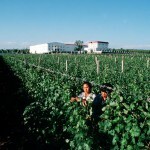 However if we are familiar with Italian and American wine, Chinese wine is still relatively unknown outside of China. Relatively unknown, but not entirely as it is beginning to attract attention from some top wine critics like Jancis Robinson of the Financial Times. 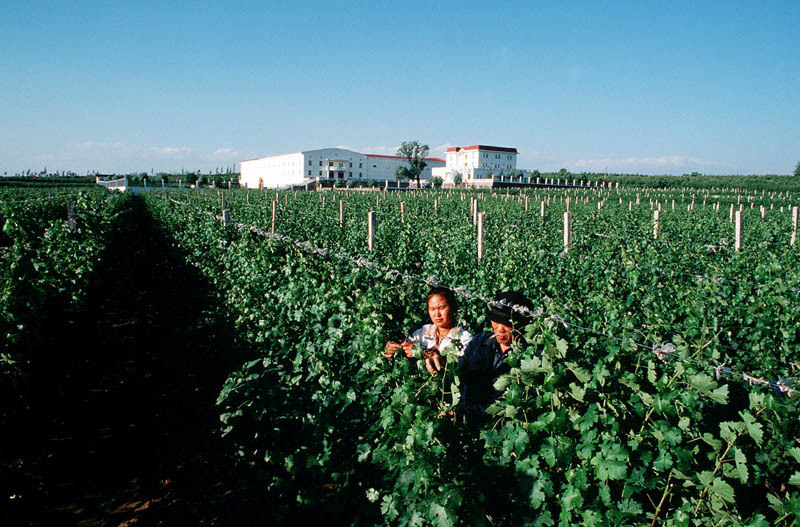 In an “all you ever wanted to know about Chinese wine but didn’t dare to ask” type of interview with Nicely Made in China (NMiC), Judy Leissner, Grace Vineyard CEO since the end of 2002, fills in the blanks in our wine knowledge. Judy, how did Grace Vineyard get started? In 1997, my father C.K Chan and a French friend, Sylvain Janvier, set up the company and planted 120 ha. 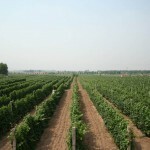 of vines in Shanxi province. 4 years later, in 2001, Grace Vineyard produced its first vintage. Can you tell us about the type of soil on which your grape varieties grow? 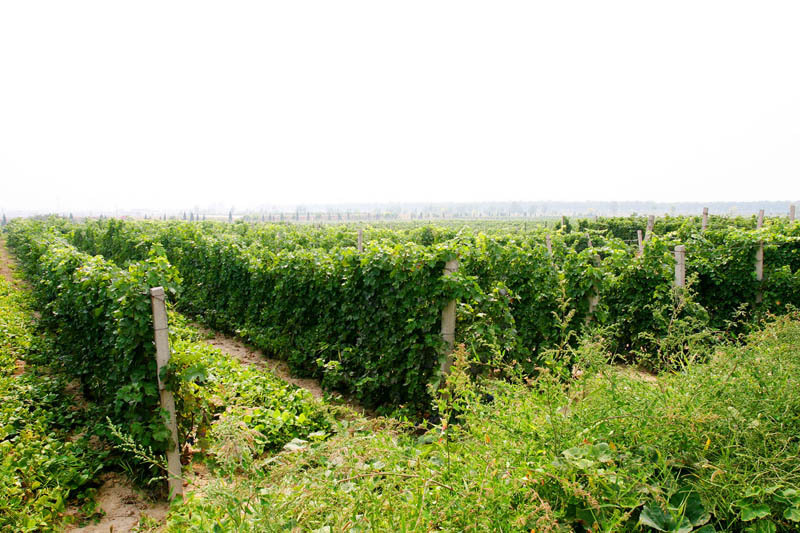 We are now growing grapes in different locations: in Shanxi, Ningxia, and Shaanxi, where the soil is mainly sandy. In Shaanxi, it’s deep soil, relatively dry with very little rock. Our total planted area is 200 hectares. In these locations the weather gets quite cold so we bury our vines from November until March to avoid heavy frost. 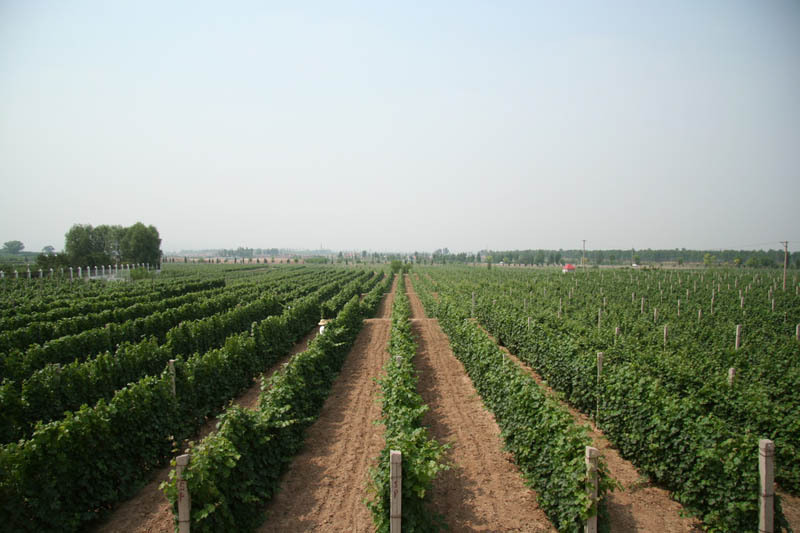 Our vines originally came from France, but in 1998/99 vine imports were stopped and we now buy our vines from a nursery in Shandong. We graft the grape varieties onto the old vine. Our red wines are produced with cabernet, merlot, cabernet franc, pinot noir, shiraz and marselan, and for our white wines we use chenin blanc, chardonnay and riesling. How is Grace Vineyard organized? In all 4 locations we work with local farmers. 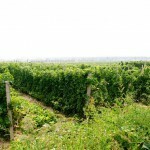 We have two different types of management: in about 60% of cases we produced the vine and we buy the grapes. For the other 40% we rent the land and employ our own workers. 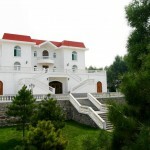 In Shanxi we work with about 580 families. Our production team at Grace Vineyard consists of 40 people covering vineyard management, winemaking and bottling. They visit the farmers regularly to check that everything is done according to our standards. 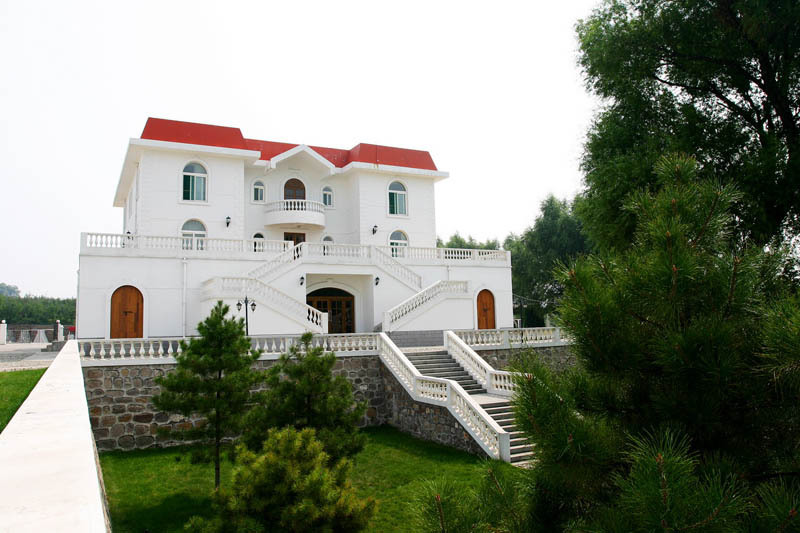 We have a site in Shanxi where farmers come for training. On top of the price we pay them for the grapes, they can also get bonuses based on two criteria (a) whether or not they follow instructions in a timely manner and (b) the quality of the grapes they deliver. At Grace Vineyard we feel a strong sense of social responsibility. We pay the farmers even if there is a disastrous vintage, as happened in 2007. For the management team, we arrange annual trips to foreign vineyards, like Bordeaux and Victoria, Australia – next year it will probably be Spain – to improve their understanding of why we want to produce quality wine. It helps them appreciate that wine is different and special, unlike any other product. Such trips out of China make a big difference to the team, as many of them have never been abroad before. Can you describe the winemaking process you follow? Currently, the grapes are all handpicked. Having said that, we might have to move to machine picking for our entry-level wine. 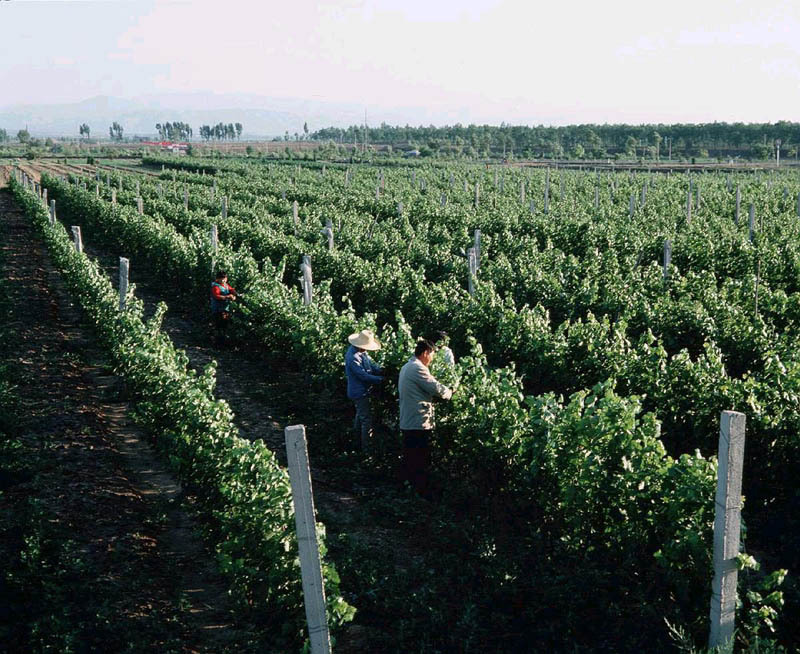 In Ningxia, it’s getting increasingly difficult to find people for the harvest. More and more are leaving the countryside for the cities, to work in factories. 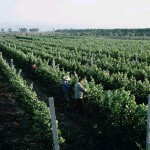 When the grapes are harvested, we separate them according to the quality of wine they will produce. For our ‘entry level’ wine, we use stainless steel tanks (made in China). 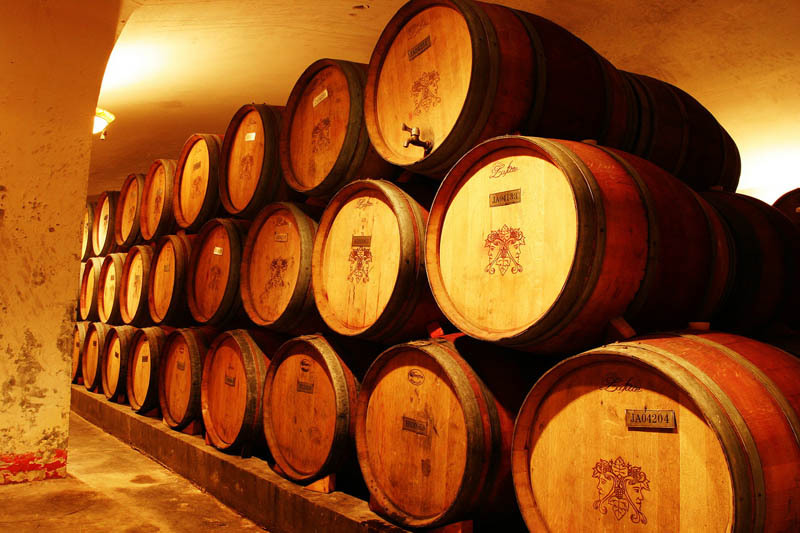 For our premium wine, we use barrels and stainless steel tanks. 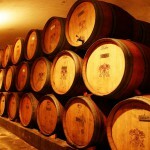 Our flagship wine – Deep Blue – is put in oak barrels from France. Our pressing machines and bottling facilities are all made in Italy. In general, we use cultivated yeast, although in the past we have used natural yeast – in 2009 we produced a merlot using natural yeast. We produced 3000 bottles and the Peninsula hotel got the lot. For us, experimenting is a key process in order to find what it is we can do best, given the quality of the soil and land we have. How many bottles do you produce every year? We produce 1.2M bottles a year, 90% of which is red and the rest is divided between white and rosé. The alcohol degree is 13º. How would you describe the Chinese wine market today? 10 years ago we were drinking Coca-Cola! Now we are drinking Chateau-Lafite. It is a very segmented market because from North to South Chinese have different living habits. Wine is an acquired taste, so it’s also a matter of time! After years of buying wines solely based on price, people are now beginning to talk about grapes and vintage. When I first began working for Grace Vineyard, I had no experience of the wine industry. I wished I had an expert in whose footsteps I could follow. I wanted to do what the Bordeaux wine companies were doing. However, I’ve now learned that in fact we cannot compare the two markets. 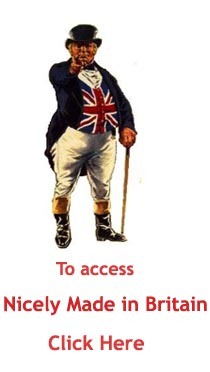 Everything is different – our history, our distribution channels and our drinking habits. We cannot imitate or replicate. We have to think outside the box and figure out what to do ourselves. Now, on a more personal note, how did the management team accept a young woman – you were only 24 at the time with a background in HR – who knew nothing about wine? I think it was less about my gender and more about my age. Yes, it was difficult for people to accept that I was the CEO – a girl who knew nothing about wine, the market, or how to lead the team. It bothered me at first, as I wanted to prove that I was capable. Then, I realized it was really pointless spending time trying to convince others, as my focus should be on getting the job done. After 8 years at the helm of Grace Vineyard, what was your proudest moment? In 2007 we organized a 10th anniversary celebration in the garden of the winery. It took us a whole year to plan everything and we invited many people to attend. Unfortunately, it rained heavily that day. Everything was ruined. The marquee was soaked, we hadn’t anticipated such heavy rain, the guests were cold and wet, the fireworks didn’t work, the electricity went off, etc etc. But despite all that, our guests stayed late. Everyone was happy and excited because my team did their best to entertain, and our passion moved them. The next day, most of my team was sick! But I was really proud, proud that we really had such a great team spirit – truly a group of passionate people. Where can our thirsty readers find your products and at what price? We have 22 shops in major cities on Mainland China as well as in Hong Kong. We now also sell abroad. Our entry-level wine costs HK $68 (US$ 8,80 / 58 Rmb / 5,40 £) per bottle, our premium starts at HK$ 118 (US$ 15 / 111 Rmb / 9,40 £) and our flagship, the Deep Blue, costs HK $288 (US$ 37,15 / 246 Rmb / 23 £). Last question: are you using corks or screw caps?